Lisbon, 20 November, 2018 - Industry Associations AENEAS, ARTEMIS-IA and EPoSS today signed a Memorandum of Understanding (MoU) to reinforce their existing cooperation. By acting together as much as possible while retaining their independence, the three associations aim to play an even more prominent role in supporting the Electronic Components and Systems (ECS) community in its Research, Development and Innovation (RD&I) activities. Based on a common vision, mission and strategy, the three associations will intensify their joint efforts to strengthen the European ECS ecosystem, in particular by facilitating collaboration between SMEs, large companies, universities and research institutes. The three associations constitute the private members of the ECSEL Joint Undertaking, a tri-partite Public-Private Partnership with the European Union (represented by the European Commission) and 30 ECSEL Participating States. Together, the associations seek to increase the effectiveness and efficiency of the participation of the ECS community in ECSEL as the leading funding instrument for collaborative RD&I in the ECS domain, and ensure its continuation as the institutionalised European Partnership on key digital technologies in Horizon Europe, the EU Framework Programme for Research and Innovation succeeding Horizon 2020. Their ECS Strategic Research Agenda, which guides RD&I projects throughout the ECS ecosystem as a roadmap towards European industrial leadership in global markets, will be updated yearly. 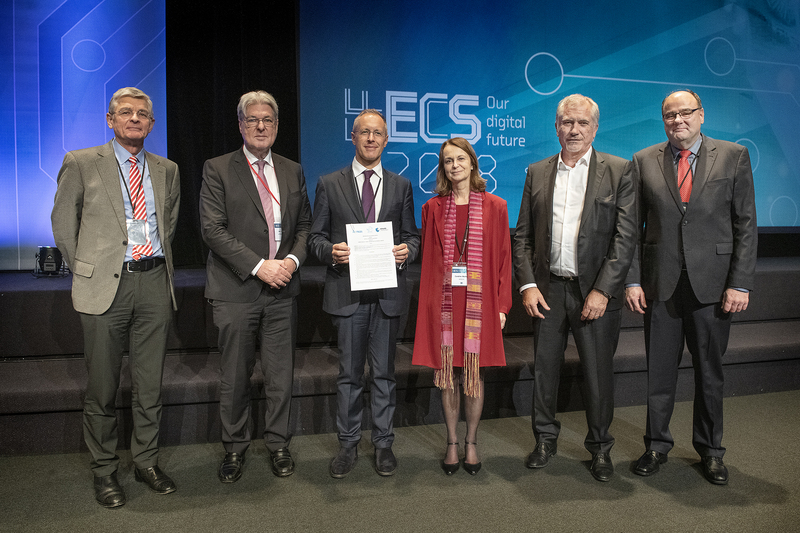 Furthermore, the three associations will continue organising, together with the European Commission and the ECSEL Joint Undertaking, the annual EFECS event (European Forum for Electronics Components and Systems) to exchange strategic views with a growing community of stakeholders. At the operational level, the current cooperation in communicaties activities, joint brokerage events and ECT, the ECS Collaboration Tool facilitating the process of creating and submitting project proposals, will be intensified.